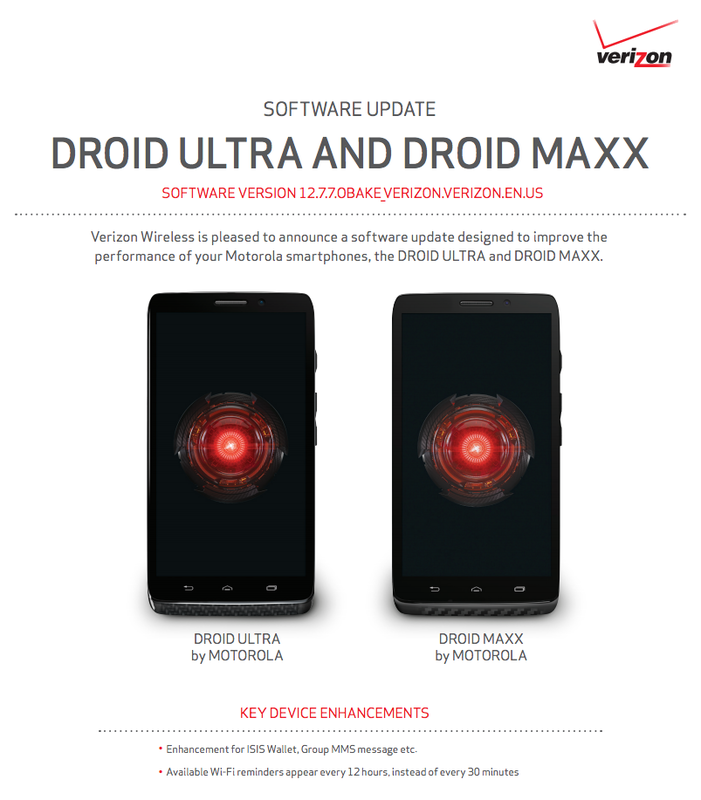 If you picked up a DROID ULTRA or MAXX this week, you probably were prompted with a system update shortly after the first boot. The update brings you up to build 12.7.7. It’s incredibly minor according to the official changelog, only enhancing ISIS Mobile Wallet and changing WiFi reminders from 30 minutes to 12 hours. The update doesn’t appear to be a security fix, but that’s not surprising since we aren’t aware of any currently available root exploits that would need patching. To grab the update, if you haven’t already, head into Settings>About phone>System updates.